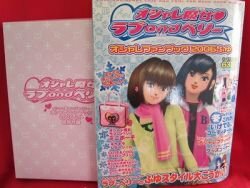 This is a Japanese Toy ""Oshare Majo Love And Berry"" Special Fan Book. This is hard to find item!! If you love this Japanese Toy don't miss it!